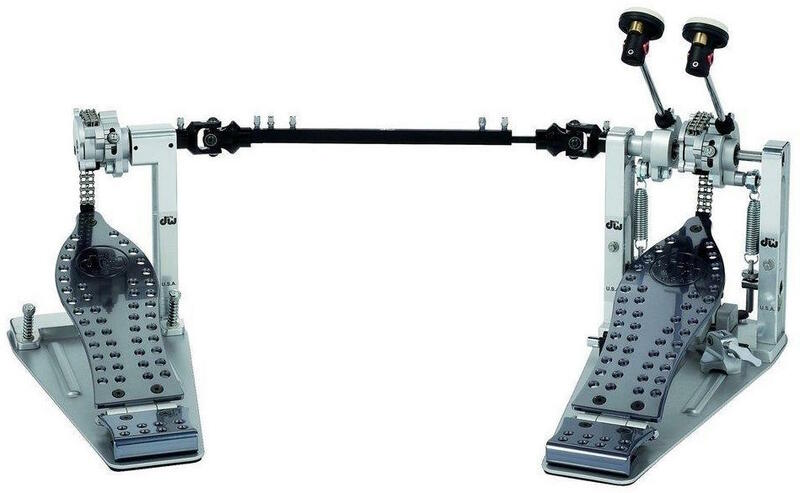 A couple of years ago I got to check out DW’s Machined Direct Drive bass drum pedals . 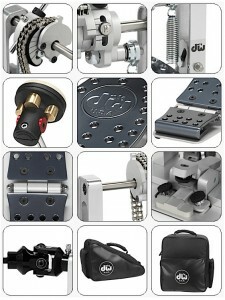 These pedals represented a big step forward for DW, as far as kick drum pedals go in general. 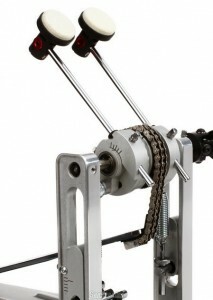 Roll along to present day, and we get to the fairly recent release of the new chain drive version of these pedals. Building on the success of the MDD® Machine Direct Drive™ Pedal, the MCD™ is a boutique pedal that shares many of the patented features, industrial design and build-quality of its direct drive cousin. The most striking difference is an adjustable, sprocket-less cam that incorporates a gear shift-style lever. The lever allows players to quickly shift between the most popular chain-drive cam settings and is easily accessible when mounted to a bass drum. These new pedals feature racing-style, all aluminium perforated footboards with matching contoured heel plates, Tri-Pivot Swivel Toe-Clamps, V.E.R.T. Vertical Spring Adjustments, DW110 Control Beaters and a DW MFG carrying case. 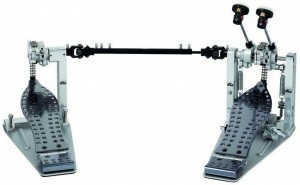 To look at and inspect, these pedals are very well designed and made. To play, they are solid and very fluid, as can be seen at the end of the video where they keep going after I’d got up from the kit. They also feel very comfortable and I couldn’t detect any issues, or any lag from the left side pedal. The downside though is that they are expensive enough to make your eyes water. All in all these pedals are way up there as some of the absolute best, high-end models you can currently, possibly buy. Special thanks goes to GEWA Music GmbH Germany for their help with this review.